It’s a brave new world in LMP1, All new cars, nine of them, new regulations, new technology and a smattering of new drivers to the class too. 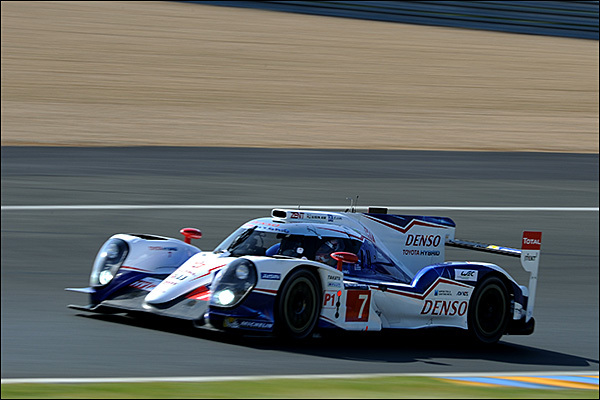 In theory there are two sub classes, LMP1-H for the big factory teams, hybrid power trains and as complex a rulebook as you could hope to find, LMP1 L for the non-hybrid powered privateers. 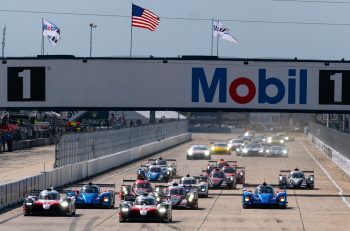 In practice though this comes down to four teams, one of which, Rebellion Racing, is a plucky, well resourced and brave privateer effort – More of that a little later though. What a record this team, and this marque, has. Beaten only twice this century, their technical ability, strategic nous and pure race knowledge at Le Mans is second to none. The fact that many of their technical staff are as well known as the drivers speaks volumes about the depth of the effort here. Their 2014 weapon is a major evolution of the 2013 e-tron quattro concept, major as in not a single component carried over! Audi have opted for the very much more conservative 2MJ hybrid contribution from the Williams mechanical flywheel, harvesting and delivering energy via the front axle and many believe that is a mistake – The turbo diesel engine though is increased in capacity to a 4 litre V6, all in the interests of a better balance between power and efficiency. The car has been quick too, and Audi have three R18 bullets in their gun. Will one be sent out as a hare? We’ll see, and we’ll see too whether the car’s abilities over the full race even out against the opposition as we saw at Spa. For 2014 then the Audi effort is fundamentally not the favourite, But how many times have we said that before and been proven wrong as efforts from Pescarolo, Bentley, Peugeot and Toyota have been put to the Ingolstadt sword? This is the reigning Champions (and World Champions) car, with Allan McNish having stepped away from the driving seat, ceding his seat to Brazilian Lucas di Grassi. Tom Kristensen needs no introduction but here’s one anyway, looking for a tenth Le Mans win, Mr Le Mans is simply matchless in the history of this great race. Almost singlehandedly responsible for an explosion of interest in the race in Denmark, Tom is a classy figurehead for the sport, still fast, still hugely competitive and still eminently capable of pulling together the pace and consistency that is required here. Loic Duval brought real steel to this effort last year and is amongst the very fastest men in this race. His ultimate successes have come early in his Audi tenure and he’ll be looking to prove that this was no flash in the pan! 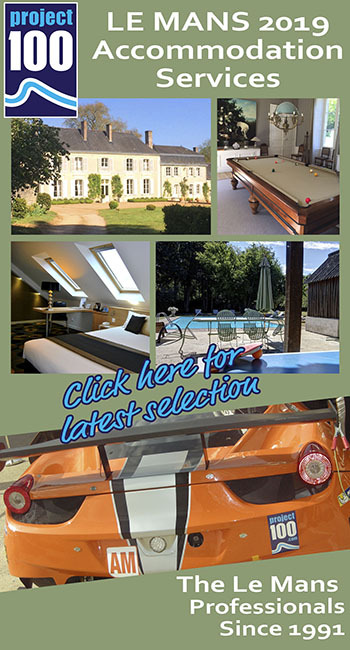 Lucas di Grassi is biding to become the first ever Brazilian overall winner at Le Mans, if he does that’s sure to boost the interest levels in one of the WEC’s more challenging markets. 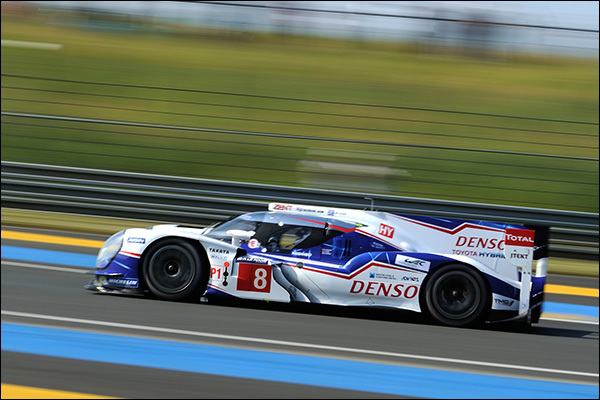 The second full season WEC entry will be looking to get back their number one status after a string of results that gave the titanic trio two Le Mans wins and the 2012 WEC title, lending them the reputation as the most capable three man crew anywhere. There is huge strength in depth here, all three drivers blindingly fast, Lotterer regularly one of the fastest of all, and Treluyer capable on occasion of being faster still – Marcel Fassler is the iron man, and a rainmeister too. If you had to put money on an Audi squad to be there or thereabouts at the end you’d do well to consider this crew very seriously indeed. 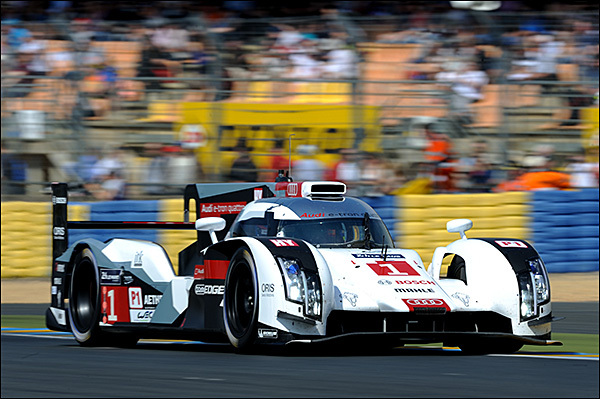 The future of Audi Sport is right here, younger men, capable of the raw speed and consistency demanded by the team. Oliver Jarvis has been with Audi for plenty long enough to understand what is required – He’s racing (oddly enough for Toyota!) in Super GT this season so has had plenty of race mileage, but less in testing with the Audi. Marco Bonanomi has been grinding Audi Sports Prototypes round test tracks for several years now – Not the most well known of the Audi drivers, but underestimate him at your peril – He knows the car well, showed massive pace at the test day, and it would not be a surprise to see him released at the start of the race as a hare, to try to push the opposition to the edge of their envelope. 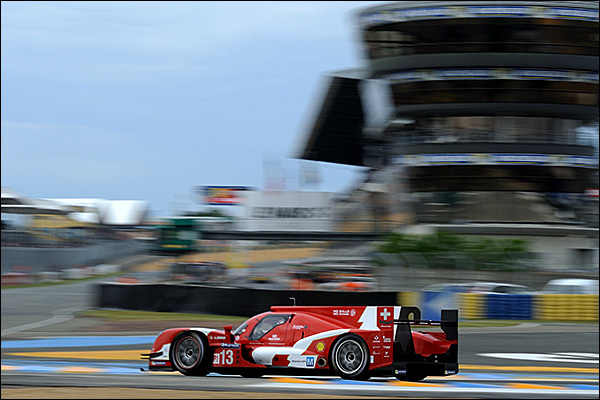 Felipe Albuquerque is the latest addition to the Audi LMP driver roster – he has proven speed, has shown real form in his background LMP2 programme with Jota Sport but time will tell whether he can translate that to the altogether more herculean tasks associated with a full Le Mans 24 Hours. That said it’s been a while since Audi got a driver selection wrong! 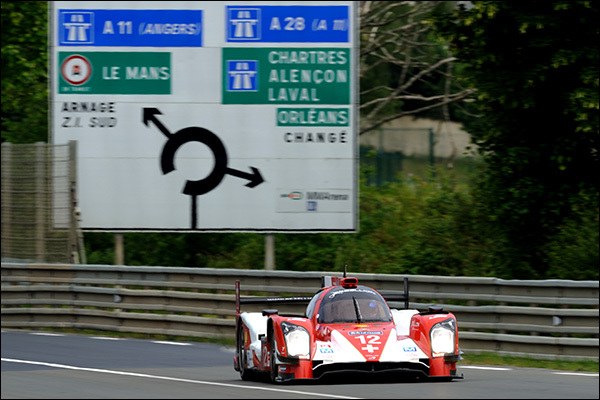 It’s year three for Toyota, and they arrive at Le Mans as race favourites courtesy of a 2014 programme so far that has seen their new TS040 post a pair of WEC race wins, very competitive speed, and good reliability. The Cologne based team opted to move forward in evolutionary rather than revolutionary fashion, a brand new car retaining many of the basic elements of the proven TS030 package, albeit in much revised form. The howling c.600bhp normally aspirated V8 is again supplemented by a supercapacitor hybrid storage/ delivery unit, harvesting from both axles and delivering power to the front – that, in 2014 6MJ spec delivers something akin to an additional 400bhp, 12 times per lap giving the Toyota simply massive punch. Toyota’s aero knowhow is recognised as likely the best of the bunch so the car should be both fast and efficient – no third car though is a perceived disadvantage for the team against Audi. Have they got the speed and reliability to get the job done – We’ll know by a week on Sunday! A minor reshuffle close season saw Sarrazin move over to the #7 car. Alex Wurz is one of the most experienced, knowledgeable, and tallest men in the class. He’s also one of the fastest. The Austrian has won the race overall of course and is hungry for more. In a battle like the one we are expecting, experience and self control will count for as much as raw speed. Stephane Sarrazin is likely the man in this class without a win that deserves one more than any other! An old fashioned ‘drive anything’ sort of racer he still tyre tests for WRC and can be relied on utterly to execute a blindingly fast, super consistent and error free stint in a sportscar. He would be on most driver’s short lists for ‘team-mates I’d most like to have at Le Mans’. Kazuki Nakajima is fast, very, very fast, and is well capable of providing the warhead for the #7’s missile launch! He needs though to prove that he has the patience to get the job done when it’s time to get the grind done, recent form has seen him make great strides towards that. A crew not to be counted out! Sarrazin’s move to the #7 car saw Lapierre heading in the opposite direction and that seems to have sealed a very happy ship, the car has won both WEC races so far this season. Ant Davidson is a man that just loves to drive fast – Happily he has god-given talent that allows him to do just that. He is a ‘driven’ sort of driver, ultra competitive and keen to get the best he can out of himself and his machinery – One to watch in qualifying and in the thick of the action at the front. Sebastien Buemi had a rather quieter introduction to the fold but has shown massively improved form in 2014. He was quickest overall at the Test Day and there’s some mild competitive spirit between the Swiss and Ant Davidson that needs to be healthily encouraged! Lapierre is a sportscar racer through and through. Always impressive he is capable of pulling together performances that demoralise other competitors. If the Toyota stays out of the garage this crew is going to be tough to beat. They’re Back! 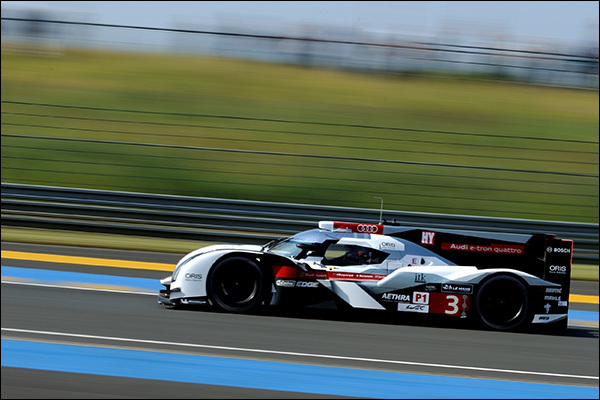 Porsche’s much heralded return to the top class fray makes it three factory teams for the 2014 season, and a potential battle for the Le Mans win for the ages! 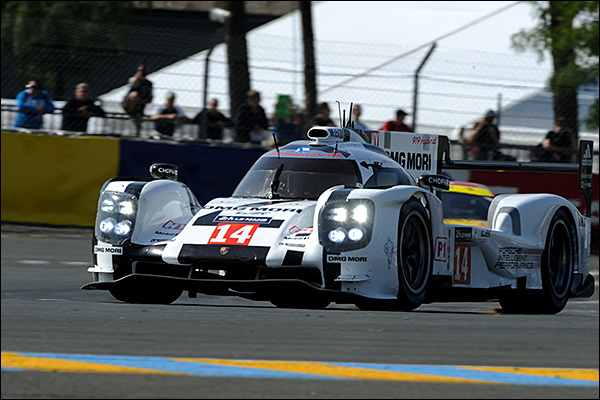 The 919 is well tested though far from fault free just yet. Both races thus far, plus both official public tests, have seen one car hit trouble. That needs not to happen if the team are to be in with a chance of a real result. 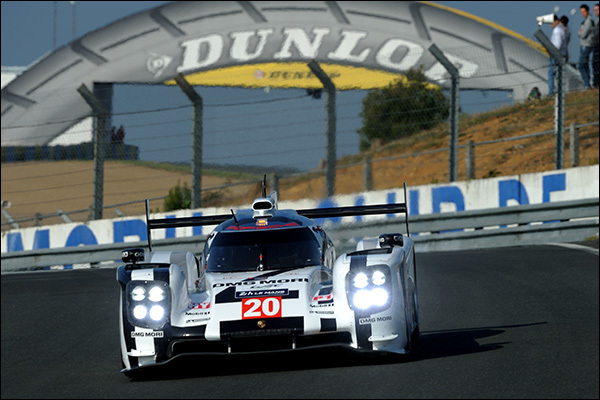 What isn’t in doubt is that the cars are fast, very, very fast and the 919 has been honed specifically for a Le Mans attack – Make no mistake ‘Mission 2014’ (hence the cars race numbers) is focused on one goal. Another week and we’ll find out if they score! The little turbo V4 is an interesting power plant, and the car carries a pair of ERS systems to make up its 6MJ of hybrid power. If anyone was playing games at the test day it was Porsche – We think they have more in the tank and that could make the race a thriller, and qualifying a classic! 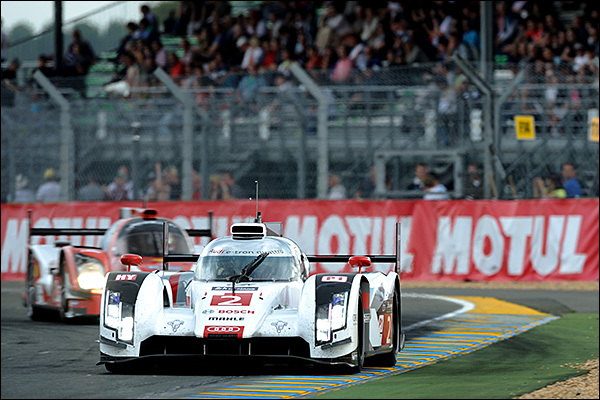 Both Porsches feature one of the squad’s previous Le Mans winners. The #14 car fields Romain Dumas, a man whose charm belies his raw speed, his years with Porsche and Audi imbuing him with all of the personal data banking he needs to attack the task in hand. 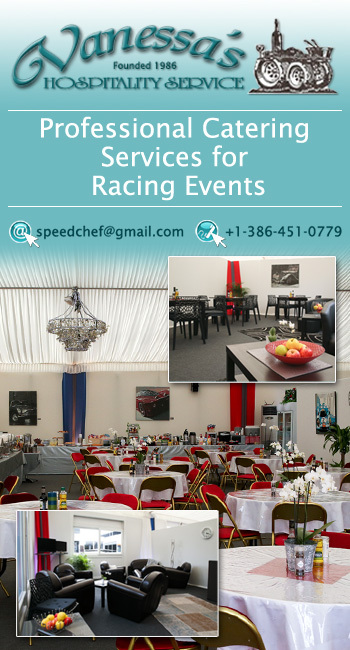 Neel Jani arrived from Rebellion Racing and was an unsurprising choice after some excellent racing was shown off in machinery that the Swiss pushed beyond its normal limits. Marc Lieb was one of the last two selections, the hugely experienced and accomplished GT racer the pick of the factory bunch. Marc’s excitement at the opportunity was readily apparent and he has risen beautifully to the task in hand, playing a key part in the team’s pole position at Spa. If there’s a car to be nursed home then there are way worse crews to achieve that task with. Porsche ‘lifer’ Timo Bernhard anchors this effort and he’s joined by young Brendan Hartley in a move that has almost single handedly changed the game for young professionals who have now seen the opportunities for a lengthy career now emerging in the sportscar racing marketplace. Timo is a driver of high quality, and Hartley is a man on the up, his speed is likely to turn more than a few heads this coming week. Finally there’s the reportedly recently retired Mark Webber, a man tempted from F1 by……well just about everything here really! 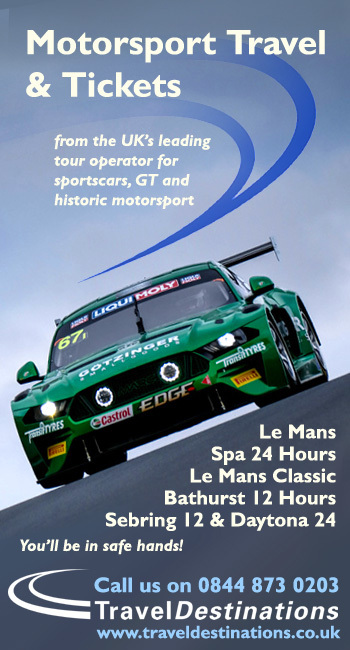 A highly professional team, being allowed to race your team-mates, high speed, high tech cars with major driver input, access to and with the fans – and a long-term commitment from a world class team – Welcome back to sportscars Mark! Rebellion should have had some competition in this field but the Lotus LMP effort have failed to beat their gremlins with a late engine change (from Audi to AER) and had crash test woes too. The car is now promised for an unveiling at Le Mans but will not race so, not for the first time, the Swiss owned and funded, British run Rebellion racing team races solo in the privateers sub class and goes hunting for factory scalps. To do that they have the very pretty, very sonorous and very new Rebellion R-One, a brand new package, new chassis and aero, designed and built by Oreca. It’s a brave effort and has been brought to the track in response to promises that it will be allowed to run as close as possible to the factory cars, not close enough in dry running to trouble the steamroller efforts ahead on raw pace, but certainly close enough to ensure that any reliability issues might be punished. 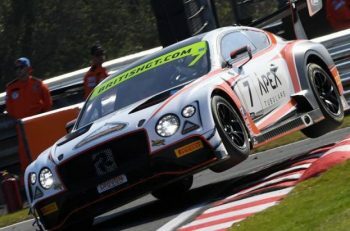 The team were a way off at the test day but they brought one car home at Spa, even so this is a huge mountain to climb, finding 24 hour reliability so early in a programme is going to be one of the toughest tests yet for the plucky underdogs – But they’ll be firm fan favourites as they try! This is a very convincing driver line-up, Nico Prost staying aboard the good ship Rebellion for another season alongside the very rapid Nick Heidfeld, both men capable of squeezing the very best out of the available package. Mathias Beche has been a neat fit too in this squad – If the Rebellion stays out of trouble this trio will fight like demons to stay on the lead lap, and if they manage to do that, it means real pressure for the factory cars. The team’s second car had a troubled debut at Spa but was the quicker of the two at the Test day in 2013 GP2 Champion Fabio Leimer’s hands. Andrea Belicchi is super experienced, and Dom Kraihamer is relishing the opportunity to be back in an LMP1 car – The #13 car may not be on anyone’s radar, but it is just that that means a finish will be as good as a win – How far up the order will determine the broadness of the smiles here!